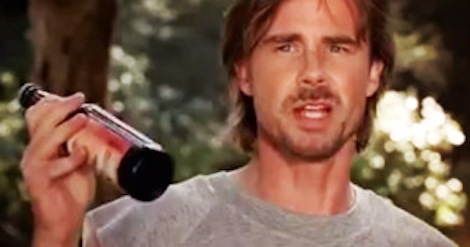 From a Dale's Pale Ale cameo in Tammy to Flying Dog’s star role in True Blood, craft brews are taking the screen by storm. As beers inspired by our favorite pop culture phenomena grow ever more popular offscreen—looking at you, Ommegang’s Three-Eyed Raven—some onscreen characters have begun to bring craft brews into their on-screen world as well. Eagle-eyed beer nerds may have spotted a few of these easter-egg shoutouts to local craft beers, but for everyone else, here’s a quick rundown of film and television’s favorite non-Budweiser brews. 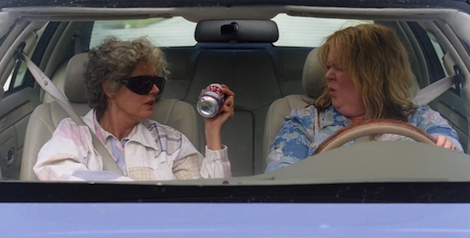 Appearance: Oskar Blues may hail from Colorado, but it’s become the brewery of choice for the “juice”-swilling grandmas of North Carolina—if Susan Sarandon’s character in Tammy is anything to go by, that is. The Melissa McCarthy comedy was mostly shot in Wilmington, NC, so it sourced its (New York Times-endorsed) pale ale from Oskar Blues’ recently opened Brevard facility. JailHouse Brewing, SweetWater Brewing, and Terrapin Beer Co. 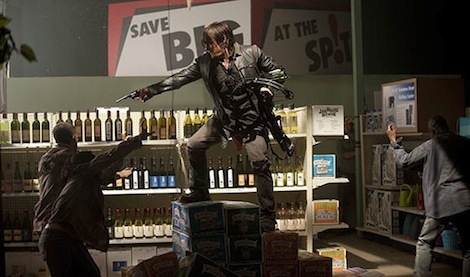 Appearance: A fight scene in an abandoned liquor store turns out to be the perfect opportunity for some post-apocalyptic product placement. JailHouse, SweetWater, and Terrapin are all local to Georgia, home of the AMC zombie show’s set, which is a testament to the production team’s devotion to keeping things realistic—highly unrealistic premise be damned. Appearance: Leslie Knope is committed to stimulating the local economy in all ways, including drinking. 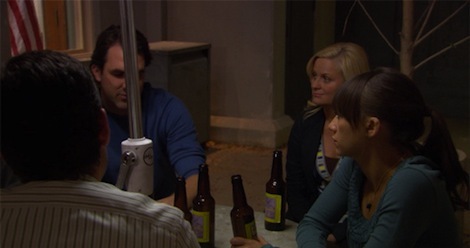 While Pawnee, IN may be totally fictional, its beer comes from a real Hoosier institution: Upland Brewing in Bloomington. 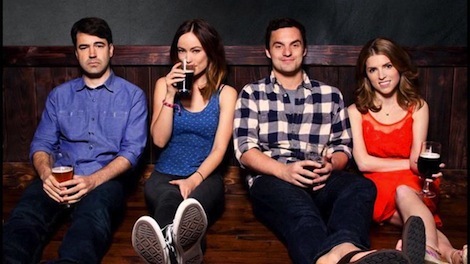 Die-hard fans in search of the ideal Parks and Rec binge-watching beverage, take note. Appearance: Part one of Quentin Tarantino’s ode to cars, ‘70s action films, and lap dances takes place in Austin, TX, with the bar decor and T-shirts to match. The protagonists’ beverage of choice is Spoetzl’s Shiner Bock—the century-old brewery’s signature product named after its town of origin. Appearance: Joe Swanberg’s Chicago romantic comedy about, well, drinking buddies is unsurprisingly full of references to the Midwest’s IRL craft-beer scene (Half Acre is based in Chicago, Three Floyds in Indiana, and Founders and Bell’s in Michigan). The movie was even partially shot at Revolution’s facility, and Three Floyds gave the co-stars, including Olivia Wilde and Anna Kendrick, a crash-course in brewing. 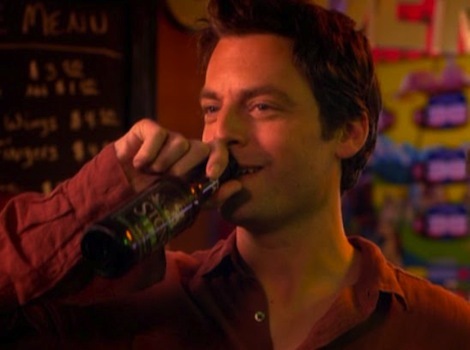 Appearance: Nancy Botwin’s drug of choice is obviously weed, but her brother-in-law and kind-of-sort-of-not-really love interest Andy is a beer man (and a most other substances man, too). Andy frequently wears a Stone T-shirt, true to the series’ suburban SoCal location, and imbibes on camera every once in a while. 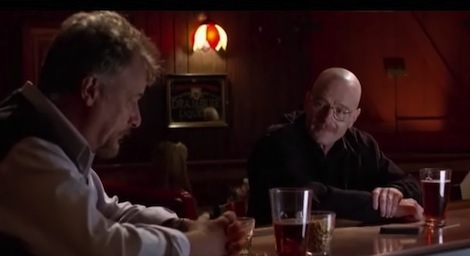 Appearance: Just a quick one—in a season two episode, Walter White, still not in full Heisenberg mode yet, orders Fat Tire on draft. Not the most fleshed-out reference in the world, but it’s Breaking Bad, so it makes the list.